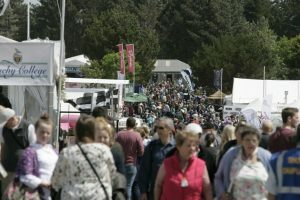 For three days each year, the dedicated showground at Wadebridge is transformed into a living town, bustling with life, energy, agriculture, entertainment and trade. It is a significant event in the Cornish calendar with around 130,000 people attending. This has been Cornwall’s showcase since it was first held back in 1793 and as you’d expect from a county show, a fascinating glimpse into rural life in the county. Apart from the livestock judging, there is the famous flower tent decked out with wonderful displays from individuals and local nurseries. The main ring offers a full three days of entertainment featuring different headline acts each year, plus show jumping and a full programme of entertainment. There’s a major dog show, a traditional steam fair, the Cornwall Festival of Dance, and if that’s not enough then there’s the motor fair, agricultural machinery, crafts, health and beauty … in fact, something for all the family.